Clear all 47 jellies and reach 10,000 points to complete the level. This level has hard difficulty. 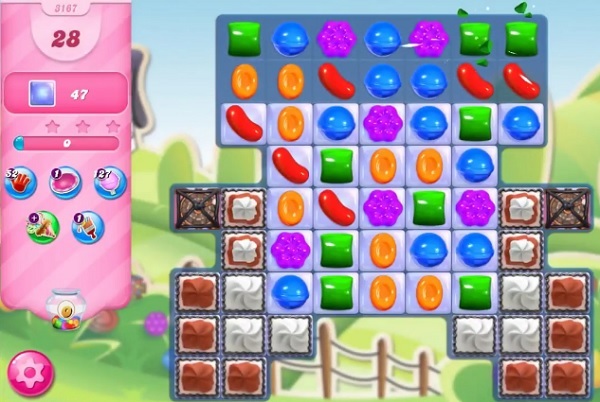 For this level try to play near to jellies or from bottom to shuffle the candies. Make special candy or play near to jellies without wasting the moves to break them all within 25 moves. As with the last level I am getting about 9 moves less than stated. It says you get 25 moves and I only get 16. Did complete the last level but had to use extra moves and 3 switches and 7 smashes. What is up?